Nestled in the heart of the Sundays River Valley, on the doorstep of Addo Elephant Park, and close to Shamwari and Schotia Reserves, Woodall Country House lies tucked away on a peaceful citrus farm where miles of citrus trees bear fruit all winter and scent the air with blossoms in the springtime. Only 45 minutes from Port Elizabeth in the Eastern Cape region of Addo, this gem awaits your discovery. Revealing a rich and diverse piece of malaria - free Africa, Woodall guest house offers five star luxury and standards of service, leaving you unwilling to leave and eager to return, whether for an occasion of leisure or business. Honeymooners are specially pampered in an environment of peace and privacy. 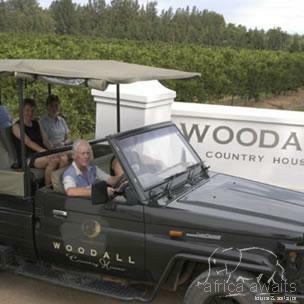 Experience game at close quarters and magnificent scenery at Addo Elephant Park from Woodall's luxury, open game viewing vehicle. Game viewing tours are guided by highly qualified guides whose passion for the area is inherent and infectious. Escape the African heat in the full size pool, fringed with palms and a waterfall or take a quiet moment to sit peacefully on the expansive sundowner deck and view rare South African waterfowl. Snacks are served daily at sunset. Other facilities include a lounge with satellite TV and fireplace, small library of books, CD library, curios, internet and fax facilities. Luxurious rooms and cottages are private and spacious with an understated elegance and a classical feel. Each room is individually designed and decorated with an air of bygone romance. 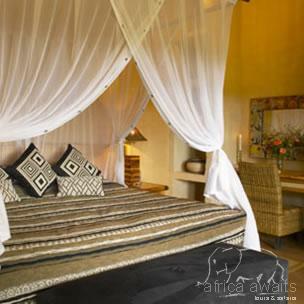 Luxurious suites with a contemporary feel are airy and furnished using natural materials and raw silks. Light and spacious, completely private, each suite offers understated refinement: spacious bedrooms, separate sitting, dressing areas, expansive bathrooms complete with double outdoor showers. Stylish regional cuisine is served in the distinctive thatched waterside dining room with views of resident herons, cormorants and other South African waterbirds. The gourmet food is inspired by the flavours of local ingredients and freshly picked vegetables and herbs from our own garden. No effort or expense is spared to provide a fine dining experience bursting forth with South African flavours and textures: Karoo venison, freshly caught East Coast fish, homemade stocks, fresh breads and local cheeses. Complementing the menu is the private underground cellar, boasting a unique and comprehensive cross section of fine South African wines. Finish off the evening with after dinner cigars under the stars. Breakfasts are farm-style with gourmet eggs and bacon, homemade breads, pastries, muffins, jams and preserves. Picnic baskets specially packed. Simple, stylish lunches can be enjoyed on the deck, at the pool, or on your private patio. 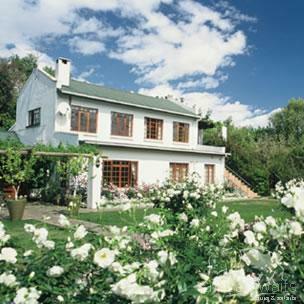 With your holiday, safari or business trip from in to Woodall Country House in Eastern Cape.